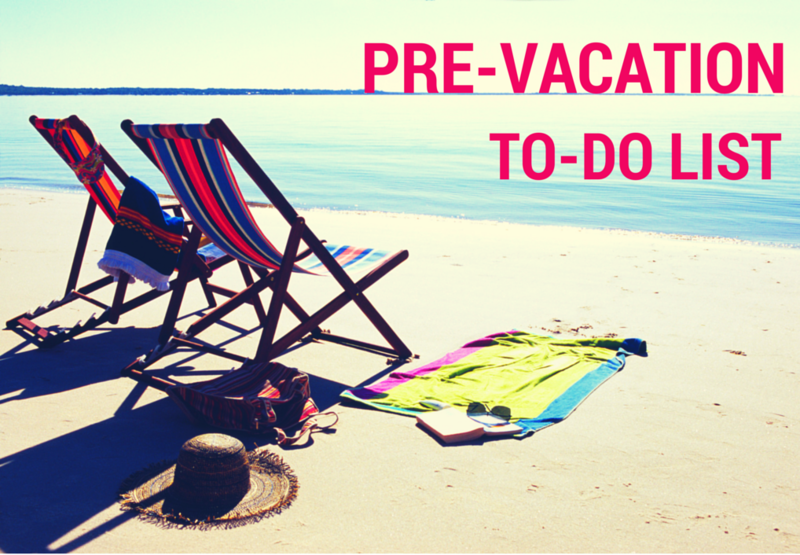 The start of summer means it’s time to go on vacation! Whether it’s a weekend trip to the beach, or a month long trip to Europe, vacations can leave your house vulnerable to break-ins. The FBI notes that the summer has the highest rates of burglaries. To try and prevent a burglary or limit the damage if one occurs, use this checklist before you take off. The first line of defense you can have against a burglary starts with making your home appear occupied. If a burglar thinks you’re home, they’ll move on to a home that looks uninhabited. Think Macaulay Culkin in Home Alone- he had the right idea. Have the lights inside your home on a automatic timer. Rather than keeping your lights on the entire time, which is not environmental, not cost efficient, and does not look normal to have lights on at 3 am, a timer will make it appear as if someone is home turning the lights on and off. Place your TV or a talk radio on a timer. It will either sound like people are talking, or that someone home is watching the television. Either way, it could be a good deterrence. Stop your mail and newspaper deliveries so they don’t pile up in front of your house. Or even better, have a friend or trust worthy neighbor grab the mail for you. That way they can check on the house as well. NEVER post on Facebook or social media that you are traveling. You never know who can see it, and it’s a big welcome sign to burglars that your house is open. The same rule applies to answering machines. Never say on your phone’s mailbox that you are away on vacation. A simple “we can’t get to the phone right now” is a much safer option. Also, be sure to turn off your phone’s ringer volume too. A phone ringing with no answer could tip off a burglar that no one is home to pick up. Research has proven that if it takes more than 4 to 5 minutes to get into your house, burglars will move on. So make it noisy and time consuming. Bolt up and place a foot jam in all your doors but one. If you have an alarm system, use it! Besides alerting the police, loud systems will scare away burglars and alert your neighbors of the break in. More secure system can even reduce home insurance policy up to 15-20%. Have motion sensor lights around your home that are not accessible without a ladder. Burglars will usually not use ladders as they are too conspicuous. If you have any spare keys around your house, bring them in. That fake rock isn’t fooling anyone. Secure all windows, your garage, and even your tool shed- you don’t want to provide the burglar with the tools to be able to break in. Lock all your windows and place stoppers with your sliding doors. If a burglar finds a way to break-in, protect as much as possible. The average dollar loss per burglary is over $1,700. You can minimize that amount with these tips. Hide/ lock up expensive jewelry in a safe. If possible, the safest option would be to keep expensive jewelry in a bank lock box. Hide/ lock up laptops, tablets, or any small electronics you can. If you have any closest that locks, place expensive items in there and take the key with you. For larger computers, be sure to disconnect from the internet and make personal info saved on the computer is difficult to access- you wouldn’t want the burglars to hack your accounts as well. Enjoy your vacation this summer! We hope these to-dos keep your home safe while you’re away. Of course, if a burglary does happen, your MassDrive agent and homeowner’s policy are here to help! Contact us at 1-877-245-9603 for any questions or concerns you may have.